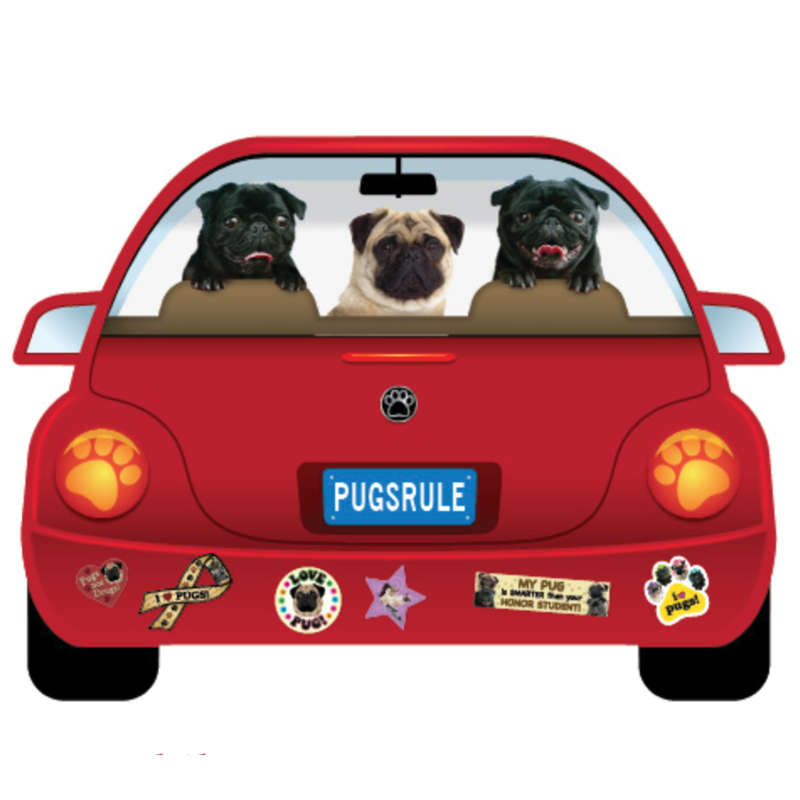 These three pugs are enjoying their trip in this cute magnet. The magnet measures 6 3/8" x 4 5/8" and is printed on quality vinyl. Bring a smile to your face every time you get in the car, open your refrigerator, or are at the office with this fun magnet.